The first link is to our original announcement of the 2012/13 season, and that's where you should have gone. 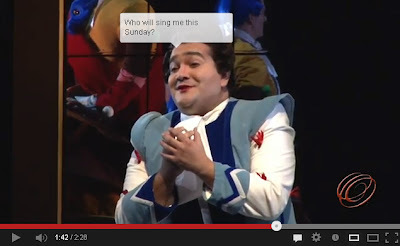 So, had you gone to YouTube and viewed the Cinderella trailer, you would have noticed, just after the 1:40 mark, a speech bubble appearing over Don Ramiro's head. "Who will sing me this Sunday?" His bio seemed to be fairly normal--except for this very odd line: "Seattle Opera Debut Turandot, Turandot ('67)"
What's so weird about that? Well, Edgardo is a very young man, who would never have been able to make his debut in 1967. Plus, Turandot? 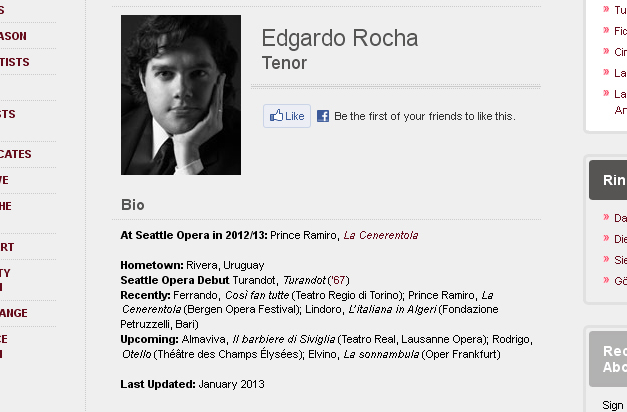 Edgardo is very much not a woman or a soprano, so that should've rang some bells. Also, this production of Cinderella happens to be his company (and U.S.) debut. The "'67" in that line of text was hyperlinked and clicking on it would have taken you right back to our Facebook page. 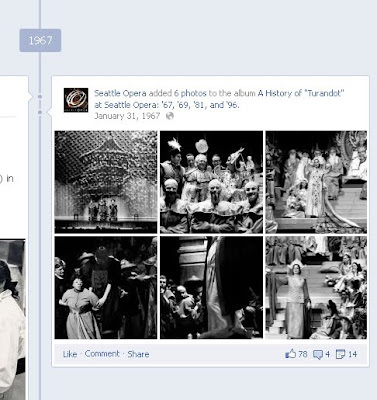 From there, you should have navigated to 1967 on our Timeline, where we have some photos posted of our very first Turandot production. 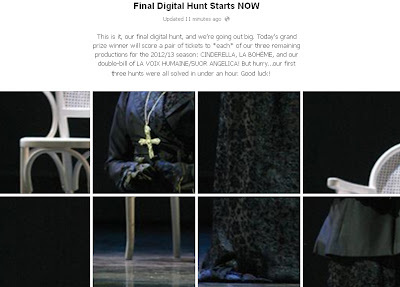 Clicking through those would have taken you to this particular photo, with that year's actual Turandot, Licia Vallon, and a special caption. That caption read: "Of course, the young Edgardo Rocha couldn’t have actually made his debut in 1967 or as the very soprano Turandot—but it got you here! 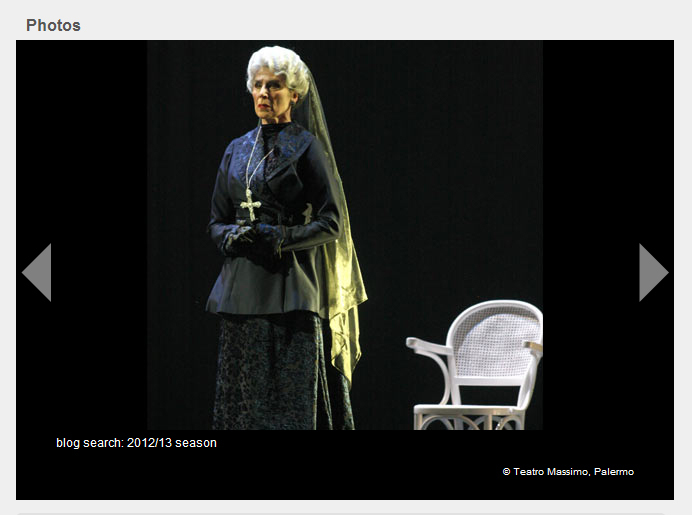 TURANDOT opened the 2012/13 season; which opera followed it, and what did our audiences think?" It just so happens we keep a tab on our production pages for "Audience Reviews," where we encourage opera-goers to leave their thoughts. 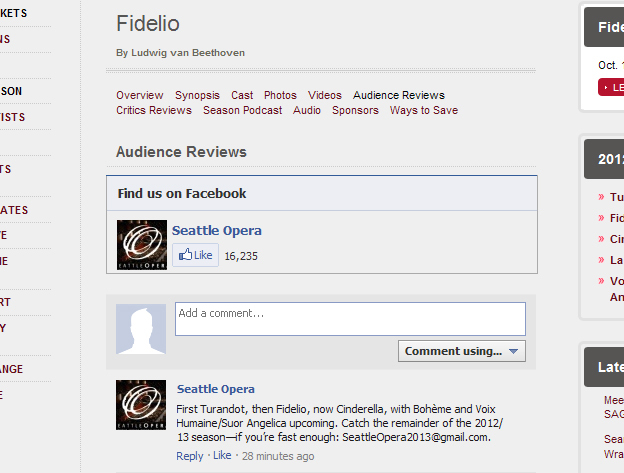 You might have already known that, in which case it was easy to find the page for Fidelio. Or you might have Googled something like "Seattle Opera Fidelio audience reviews," in which case you would have also been pointed in that direction. Once there, you would have seen the following comment: "First Turandot, then Fidelio, now Cinderella, with Bohème and Voix Humaine/Suor Angelica upcoming. Catch the remainder of the 2012/13 season—if you’re fast enough: SeattleOpera2013@gmail.com." And that was that! Thanks to EVERYONE who played, and make sure to like us on Facebook and follow us on Twitter to be the first to hear about future opportunities and giveaways. P.S. If you want to read how the first three hunts were solved, visit: Day 1, Day 2, Day 3. Thanks for these great archives. I am not a fan of opera before but because of this, I would to try them out. I want to experience that 18th century ambiance that it brings.